LITTLE BAY, Tortola, VI - VISAR's Phil Aspinall has confirmed that the body of Mr Natanael Gumbs was recovered from the sea at Little Bay area earlier today March 4, 2014 at 7:10 am. According to Aspinall while VISAR was out at sea for the early morning search it was the life guard who had recovered the body which was then placed on the VISAR search boat. The body was then taken to the Peebles Hospital. "It is really sad, but we are glad that the family has gotten some level of closure, but this is really sad," he told this news site. 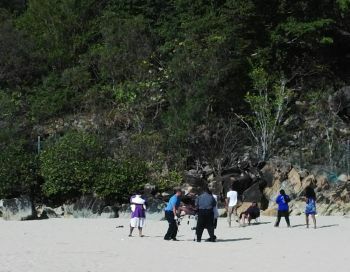 LITTLE BAY, Tortola, VI – While there was a sighting of body believed to be that of Natanael Gumbs, the family and friends of the young man continue to feel the pain as they await word and hold out hope that he is found alive. Yesterday afternoon, March 3, 2014, the scene at the beach was one of pain, emotional distress during the relentless water and air search by VISAR. Arriving on the scene shortly after reports of the unfortunate incident Virgin Islands News Online witnessed the heartbroken display of a wife longing for a miracle find of her husband. A short distance off paramedics attended the injured right leg of the female who was among the two rescued from the raging the sea. The other, a man was earlier on escorted into the ambulance with medical apparatus attached to his face which appeared to have been assisting him to breathe. He had to be aided to walk as he was obviously in much pain. Standing braced on a huge rock, was a young man in grief over the fact that while he was able to assist in rescuing the two survivors there was nothing that he could have done better to save the still missing Natanael Gumbs. Relating to this news site what he witnessed and did yesterday afternoon after tragedy struck, while requesting not to have his name published, the young man said he was at another section of the beach when he observed that something was amiss at the other end. I see people running and I decided to go over and as I got closer I heard them screaming, then I notice a couple of persons struggling in the water and I went into action and was able to assist the two of them who were trapped between the rocks over there,” he said, pointing to the area where the wave had swept the victims out. He said that he realize that Natanael was missing and attempted to search for him, “But it was too dangerous, the sea was mad, really heavy waves,” he added. According to the eyewitness most of the persons involved were relatives with few friends. He said that several of them including the victims were attempting to surf that afternoon as the waves were very high and rough. “They were not actually surfing, they had their surf boards and they were trying to surf, more swimming on the surf boards,” he related. 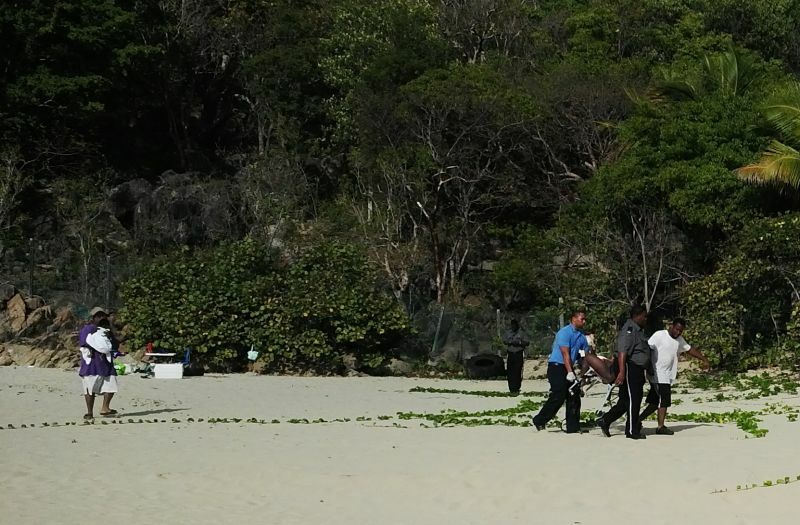 LITTLE BAY, Tortola, VI – The search for Natanael Gumbs will resume on the morning of March 4, 2014 after rough seas forced a halt to the Search and Rescue Operations being led by the Virgin Islands Search and Rescue (VISAR). President of VISAR, Phil Aspinall, said while a body was seen floating, it was impossible to recover it because of the treacherous conditions. Following the report of him being missing at sea today, March 3, 2014 the Royal Virgin Islands Police Force (RVIPF) and VISAR launched a search and rescue operation to locate Mr. Gumbs who is the son of Keith Gumbs aka “stones” of Long Bush. Regrettably, due to heavy waves and rough seas the Search and Rescue Officials were unable to recover the body from the sea waters once it was located to bring it to land. 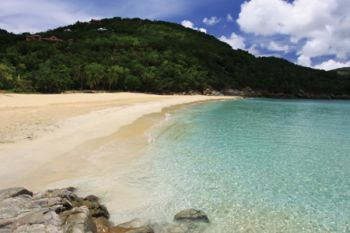 LITTLE BAY, Tortola, VI - (Post Time 3.50 pm) - A man is feared drowned after he could not be found up to post time following a surfing mishap at Little Bay a short while ago today March 3, 2014, Virgin Islands News Online is able to confirm at this time. Police personnel from the Royal Virgin Islands Police Force (RVIPF) are on the scene conducting their investigations and we will bring you more details as they become available. 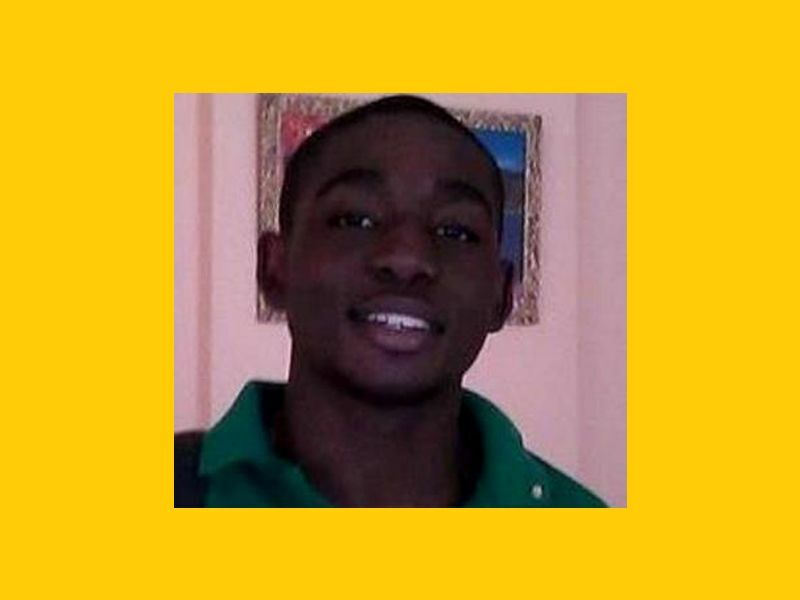 A source has revealed that the man feared drowned is Natanael Gumbs, of African descent. Sources have revealed to this news site that at the time three persons were surfing on the water while the water was rough. 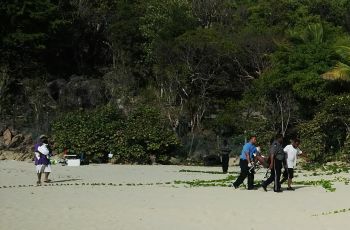 Two, a male and female reportedly made it to safety with few injuries but Gumbs was swept away by the rough waves and and reportedly cannot be found. VISAR personnel are conducting searches at the moment and Police are conducting investigations. My goodness, what a tragic holiday; first PI Leonard, now this. For all the athiests who will dislike this post, may God be with you too, but I know that God is sending us some signs that we are still refusing to adhere to, but when the bible says, "EVERY need will bow and EVERY tongue will confess, that Jesus Christ is Lord", IT INCLUDES YOU. god is not a man nailed to a piece of wooden stick!!! This is a very sad situation, please don't use it try to recruit people to your archaic way of thinking. For me I hope Mr.Gumbs is found alive and that his family receive all the support that it needs in this difficult time. Wondering if you should change your handle to 666? no because I think that is who really wrote the bible, but that is not for a conversation in this thread. I know this was coming, becuase of peopl like you BVI will never get anyway. Everything is the governement fault. SO SHALLOW!!! Now y would u come on here and say some dum Sh.. like that in a time like this, what the hell NDP have to do with somebody downing what an ignorant A$$!! THAT MAKE SENSE!??!??!?!??!???! Just SHUT UP!!!!!!!! what does the NDP have to do with someone's death? beach waners, what's a beach waner, i tried all sort of search looking for the meaning of beach waners but came up empty handed. when was the last time a native BVIslander drowned in BVI waters and close to shore? They havent drowned in waters up de Island either unless caught in a hurricane, perhaps. And so we must hire and spend money we do not have to protect strangers from their reckless actions? Your grammar is what's sad... Smh..
Um. So what does NDP have to do with anything now? Talk about wrong information. ...he's from the Dominican Republic not Africa . They said african decent not that he is african.... Meaning he is black! @wrong info you need to take your time and read. The news report specifically said "AFRICAN DECENT" meaning a black man! I think the writer is saying he is black and not that he is from an African nation, but rather of an African descent. He is actually a B V Islander of BVI and DR parents and African descent as the article stated. S & B, please be comforted in knowing that Nathaniel always belonged to God and was given to you only but for a short while for which you did your very best in raising him as the young man that he became. C, as his wife, he definitely has gone too soon but his life is to be celebrated for the short time that you two shared together. We all fail to remember that just as there is a set time for each of us to be born, there is also a set time time for each of us to die, just that we know not when. So let us live each day that we are given with appreciation, love and patience for ourselves and that of others, regardless of who it may be. One Love. I agree that we do need life guards stationed at the beaches however, I doubt any could've saved this young man yesterday. The seas were terrible and if VISAR themselves couldn't get to him there's nothing a lifeguard could've done it was just too dangerous. Oh no! not cool! im willing to do a Glass bottom search if it helps, just gas from VG to apple bay I need cover. My Bass partna!!!!! U gone but could never be forgotten as your spirit always filled the atmosphere. Smh RIP Nat!!!!!!! I can only pray that God wraps his arms around this family and help them during this difficult time. As a community we need to wrap are arms around this family and support them however we can. For whatever reason God allowed me to keep my wife, and although it is rough, I am thankful. I will keep your family in my prays. It really hurts to see a your man loose his life before life even begins. What about you? You haven't used yours? My dear student; how i will miss you. I loved you and you knew that. May your wife, your father and mother find comfort in the hands of the Lord. May you find quiet peace. Safe journey my son; My heart is broken ... God's purpose takes precedence. i am better for having loved you. Amen Frank. We really have to be thankful & appreciative of life everyday we have it because no not one of us know the hr when it could come to a sudden end. Two families lost their love ones within hrs of each otr & neither thought that that would be the end. Give thanks ppl, give thanks. I was out at the beach yesterday and the water truly was horrid i held onto my son and wouldn't go where the water was past my hips. People need to be a bit more cautious this probably isn't what some may want to hear right now but they made a choice to go out there despite SEEING the conditions of the water and KNOWING that there was no lifeguard on duty. I HOPE this young man is alive however in all honesty things to look grim, to those that survived and those of us reading this article i hope you take with you at least one lesson i know i have. Lord i hope the young man is to his family stay strong it hurts i know but stay strong. My prayers go out to you. We have a tragic death on our hands, and all you guys can do is dis each other.....? Grow up or get off line. This is such sad news, my prayers and condolences goes out to the family in this difficult time. RIP N.G u will be greatly missed. First, deepest condolences to the family. I wish you all strength in these tragic times. I don't know exactly how or why this young man drowned and I don't judge his knowledge of the ocean. He may have been a strong swimmer, although that is unlikely because the ocean yesterday was quite rough, but no real trouble for strong swimmers. It was trouble for anyone who does not understand or have the skill to deal with it. Question: how many more of these deaths until the authorities of the BVI decide to WAKE UP and educate our kids about the ocean that surrounds them? We live in a group of small islands with heavy traffic between them; most of our economy is based on ocean leisure activities that we sell to the rest of the world, tempting them to come here and enjoy our natural ocean blessings; and we as a people enjoy the beach, and boats, and fishing - but not as much and definitely not as safely as we could. Look, if our economy is based on the ocean, shouldn't our education system include COMPREHENSIVE swimming and ocean education??? It is a no-brainer. What are you doing, governments? You talk about equipping our people for the future but you – NDP, VIP, all of them – can't even get this BASIC benefit into the system? Compulsory swimming skill levels must be attained before kids leave primary. Ocean skills should be taught in High School. 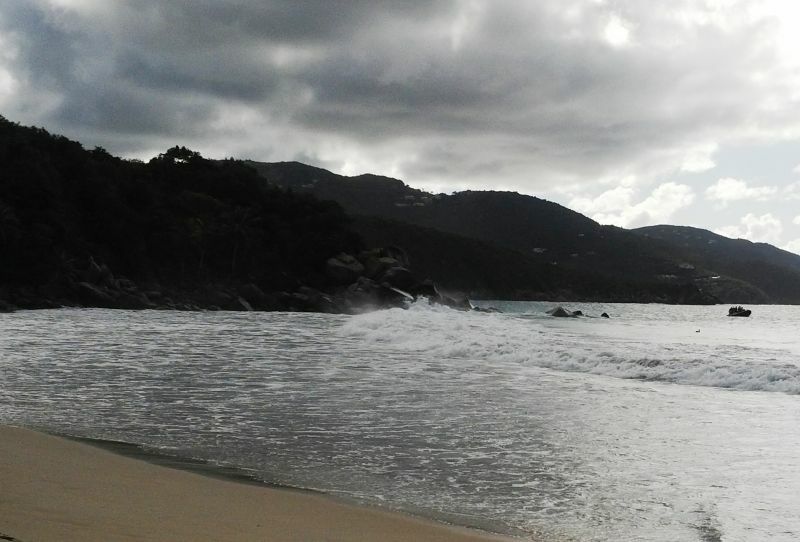 In one generation the BVI population could actually UNDERSTAND our water world, and enjoy it safely. And oh, if they can swim properly, guaranteed our youth will get more jobs or start more businesses in the ocean based industries. Please, even if you don't swim or understand the ocean yourself, please pressure government to instigate programs that ensure our kids DO swim properly and understand the ocean to basic safety levels. Words cant express the emptiness we are feeling right now, Nat I cant believe that you are really gone never to return. May your soul find rest in the arms of God .R. I. P you will be Missed. To Crystal ,his Mom, Dad and the rest of his Family May god give you the strength to go on. Tears are a language that God understands. My prayers are with u guys. Condolences go out to the entire family. Can't you news sites have a little more Heart with some of those DAMM type pictures.Shesssssssh man. I too would cry if I knew of a moth that buried its child. My sympathy to his parents .I know this loss will be hard on you and the rest of the family. My prayers for the families and close friends of those who are affected by this unfortunate tragedy. Hold on to those around you. Remember, there's one more angel looking over you. Lets hear it for the caucasian man and the other brave young man who risked their lives to save those in danger. " No greater love has a man than to literally ignore his own safety for the sake of others - especially others who he may not know". There are heroes amongst us - amongst our youth. Big up to all the heroes amongst us. was ther elifeguard on that beach? We have lost a young man of God. He was a positive and ambitious individual. Nathaniel was blessed with a voice that he used to glorify God. Gone too soon. We cannot help but ask, WHY? But we must acknowledge that God is in control, He knows best. Christal, trust in God and He will see you through.